A Bahá'í-inspired blog aimed at addressing many issues- local and global. This blog is meant to serve as inspiration and a resource for those who just want to make the world a better place through social and economic development. This site has links to other sites pre-categorized for readers. Viewers can comment on posts and give feedback on what they want from this blog. Many people can claim to know the problems with industrial air pollution; however, pollution in our water can also be caused by everyday practices and can be just as harmful. The United States Environmental Protection Agency (EPA) calls polluted runoff non-point source pollution. According to the EPA, non-point source pollution is caused by rainfall or snowmelt that moves over and through the ground. As the runoff moves, it picks up and carries away natural and human-made pollutants, finally depositing them into lakes, rivers, wetlands, coastal waters and ground waters. This kind of pollution is a very complex issue to consider because it is extremely hard to find the source. 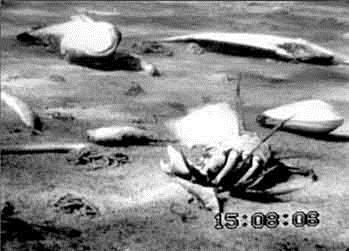 covered with dead or dying crabs, fish and clams killed by oxygen depletion. When high concentrations of nutrients are found in the watershed due to human activities, hypoxic (low-oxygen) areas are formed that cause dead zones. These dead zones are caused by algae blooms that take large amounts of oxygen out of the water upon decomposition. One famous spot for low oxygen is located in the Gulf of Mexico dead zone because of its sheer size and geographical qualities. The dead zone in question is the drainage area for 41% of the continental United States and reaches sizes up to 21,756 square kilometers or 8,400 square miles (NOAA). Marine life is at risk to survive within such areas, hence the name “dead zone”. From large examples in the Mississippi Delta to the smaller ones in local lakes and ponds, water pollution caused by humans is running rampant in a society that does not know of its very existence. Polluted runoff can be created through many means. Excess fertilizers, herbicides, insecticides, sediment, salts, bacteria, and nutrients are all sources of pollution. Oil, grease, and toxic chemicals from urban runoff and energy production are also included as pollutants in runoff. There are more sources that cause nonpoint source pollution, adding to the complexity of the issue. Cities in the United States and around the world are creating initiatives to control rainwater runoff. 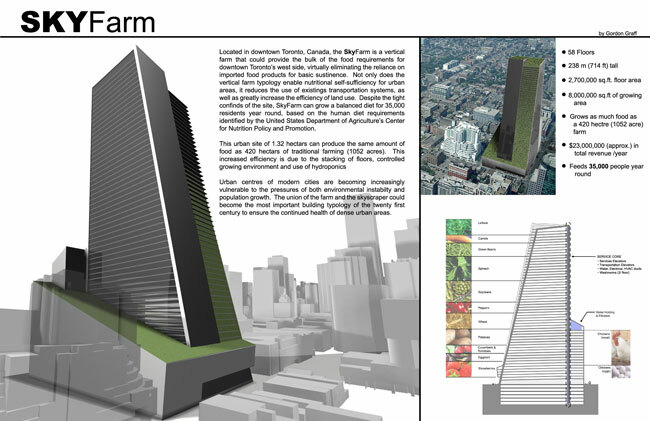 Green areas – including ‘pocket parks,’ green roofs, and green walls – are being created to slow rainfall runoff. Green roofs capture 60% of rainfall and also improve air quality, vegetation and wildlife habitat. 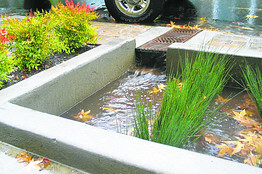 Rainwater flows into a sidewalk planter from a street in Portland, Oregon. Sidewalk planters are just one method that is being used in an effort to allow rain water, normally unable to pass through concrete, to be absorbed into the ground below. The expansion of initiatives to reclaim water, such as in the South Cross Bayou Reclamation facility in St. Petersburg, FL, is an example of a practice for other cities to follow. Sustainable farming practices, like the use of hydroponics in growing produce, are able to drastically cut water usage and reduce runoff. Regardless, hydroponics does not require pesticides, since the whole process can be conducted in a controlled environment. The raising of livestock does not have to result in polluted runoff, because the waste is manageable. Eliminating the mismanagement of wastes in general can be an effective solution to polluted runoff. A basic tenet of business management for any company is the mastery of the art of doing more for less – efficiency. Far from ignoring the necessity of eliminating harmful pollutants from the environment, the incentives for businesses and communities to act benefit the environmental stewardship initiatives that are very crucial to expediting the necessary implementation of sustainable water management. The ability to control a problem that keeps running off is within the grasp of all humanity. The creation of economic incentives to do so will only bolster smarter and more efficient water management. Besides the sustainability projects mentioned above, there are a variety of others that are not related to water pollution. For example, Pavegen Systems, a London company, is developing unique tiles. These tiles acquire kinetic energy from a person’s footsteps and convert that energy into electricity. One challenge in the advancement of the tiles is ensuring that they are durable enough to withstand numerous footsteps and damage from weather. If the tiles become practical for long-term use, they can be utilized at a sports event so that athletes can generate some of the electricity needed to power the electronic used at the event. Similar to the tiles of Pavegen Systems is a wearable knee brace, made by the Canadian company Bionic Power, that takes kinetic energy as the wearer walks or runs. This technology is especially valuable to members of the military who work in places where electricity is not easily accessible. Another example of sustainability is a cooling panel designed by a team of Stanford scientists. The cooling panel can mostly reflect sunlight through the Earth’s atmosphere and back into space. Potentially, a cooling panel of this kind could be used to cool buildings, vehicles, and other structures. In developing countries, cooling panels could be used as a replacement or supplement to air conditioners while reducing the need for electricity. All that has been stated is just an inkling of the possibilities open to all of humanity. If the human collective can unite and put its efforts together within the scope of a common goal, then the betterment of our planet can be made certain. “So powerful is the light of unity, that it can illuminate the whole earth.” We have the power to bring life to our planet, just as we have the power to destroy it. The advancing desertification on this planet can be halted and reversed. The droughts we have created in the Amazon can be reversed. The pollution and destruction wreaked on our planet can be undone and reversed through the unification of humanity's forces. The redirection of humanity’s efforts can be for the betterment of this planet. Action Plan, n.d. Web. 23 Mar. 2013. .
(6/21/2012 11:00:00 AM). N.p., n.d. Web. 23 Mar. 2013. .
Protection Agency, n.d. Web. 23 Mar. 2013. .
"Where Does the Water Go?" U.S. Cities Seek New Ways to Control Runoff. N.p., n.d. Web. 23 Mar. 2013. .
2013. Web. 3 May 2013.
full sunlight. "Stanford News. Stanford University, 15 Apr 2013. Web. 3 May 2013. . The year 1912, said US presidential candidate Eugene Debs, “is a year supreme with possibilities.” A fiercely contested election challenged Americans to decide what kind of country they wanted. Minorities and women fought for civil rights. Workers faced off against corporations. Soldiers landed on foreign shores, sparking debate on the nation’s role in the world. Did Americans really believe—like Theodore Roosevelt— that “The welfare of each of us is dependent fundamentally upon the welfare of all of us”? On April 11, 1912, a new voice joined the conversation. 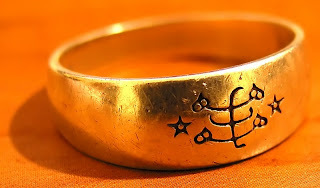 It belonged to ‘Abdu’l-Bahá. It was the unlikeliest of voices. ‘Abdu’l-Bahá had just been released by the Turkish government after 40 years as a prisoner of conscience. For 239 days he traveled across America, speaking about issues that still define us. He reached across political, religious, racial, class, and gender lines to confront Americans with a vision of human nature, social unity, and the nation’s future that was 100 years ahead of its time. In 1912, the country was torn with racial division, and “separate but equal” was the highest level of interracial relations to which the nation aspired. 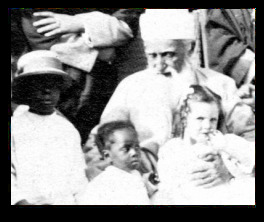 ‘Abdu’l-Bahá challenged America to go beyond tolerance, to embrace diversity completely, and to demolish racial barriers in law, education and even marriage. The world of humanity is possessed of two wings: the male and the female. So long as these two wings are not equivalent in strength, the bird will not fly. Until womankind reaches the same degree as man, until she enjoys the same arena of activity … humanity cannot wing its way to heights of real attainment. On the eve of ‘Abdu’l-Bahás journey across America, a new industrial order had emerged, creating nationwide prosperity, but also exacerbating crushing poverty and inequity. Publishers and industrialists grew very wealthy providing newspapers, magazines, automobiles and steel, building the railroads that crisscrossed the U.S. and the ships that transported American manufactured goods to Europe. In the midst of such vast wealth, the poor languished in crowded and often disease-ridden urban housing. The first decades of the 20th century saw huge numbers of children working in mines, glass factories, textiles, agriculture, canneries, and as newsboys, messengers, bootblacks, and peddlers. In 1904, the National Child Labor Committee was formed and a national child labor reform campaign began, but a law to actually prevent child labor would not be passed by Congress until the mid 1930s. The year 1912 saw America with a population of 92 million, with a low 2% unemployment rate, but the chasm between the wealthy and the poor was impassible. Workplaces were profoundly unsafe. On the railroads alone, between 1890 and 1917, 72,000 workers were killed and more than 2 million injured. In addition, there was no social safety net—worker’s compensation was a new idea, passed by just 10 states by 1911. Neither Social Security, Medicare, nor Aid to Families with Dependent Children existed—so the elderly, widows, orphans and the ill were left to their own devices, meager as they were. Partly due to these social disparities, worsened by poor sanitation and a lack of good public health practices,U.S. life expectancy was on average just 48 years for men and 52 years for women. Labor unions grew in size and influence as the middle classes became more unhappy and restless with the status quo. Poverty was on the rise, industrial monopolies continued to increase despite the Sherman Antitrust Act of 1890, safety for workers in the workplace was largely dismissed as irrelevant, and children were in the workplace in their thousands. Nearly 20% of urban children were undernourished and only one-third were enrolled in elementary school. Immigrants had flooded the cities, many—including Poles, Finns from Russia, and Macedonians and Bulgarians from Turkey—fleeing political or religious oppression. Others, like the Irish, fled famine and poverty, swelling the ranks of the poor. Social reforms in the 1940s took the first small steps to redress these inequities through the Social Security system, whereby the aged would receive an income set aside from their earnings, and the poor would receive medical care. The U.S. GI bill after World War II enabled thousands of returning military men and women to obtain college degrees and rise to serve their countries in all the professions. When the ship news reporters boarded the Cedric down the bay 'Abdu'l-Bahá was found on the upper deck, standing where he could see the pilot, his long, flowing oriental robe flapping in the breeze... His face was light itself as he scanned the harbor and greeted the reporters. His first words were about the press, saying: "The pages of swiftly appearing newspapers are indeed the mirror of the world... But it behooveth the editors of the newspapers to be sanctified from the prejudice of egotism and desire, and to be adorned with the ornament of equity and justice." - Please enjoy this wealth of information. 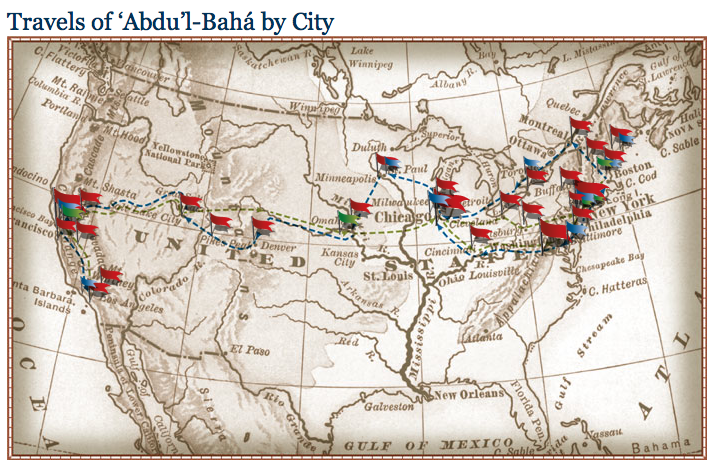 ‘Abdu’l-Bahá’s journeys in America lasted 239 days between April and December 1912. 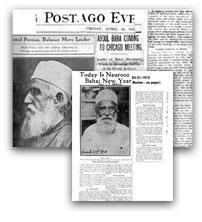 While much of his time was spent in the major metropolitan centers of the country, a number of small towns were also on the itinerary, and indeed ‘Abdu’l-Bahá never seemed to be as interested in material development as in spiritual capacity. Most of His cross-country travels were by train, which was the most convenient form of long-distance travel at the time. He spent 10 days in Canada, and a little over a month on the West coast, with the rest of the time shared among the cities and towns of the Eastern and Central United States. Below is a video that contains 'Abdu'l-Bahá's message in more depth, concluding this article. Please enjoy. Below is an appeal from Rainn Wilson (from The Office) regarding the attack on the Bahá'í Institute for Higher Education (BIHE). Please watch the video and share it with everyone. Rainn Wilson BIHE Video Appeal from Education Under Fire on Vimeo. No one deserves to be denied an education. Students denied an education in Iran deserve their human rights to be recognized. The Bahá'í Institute for Higher Education is now illegal in Iran. The one hope Bahá'í students had to gain a higher education has now been taken away. Society's quintessential rights are under attack. An attack upon human rights somewhere will always be an attack on human rights everywhere. President and Nobel Peace Prize laureate Jose Ramos-Horta Defends the BIHE and the Baha’is in Iran from Education Under Fire on Vimeo. Around the world, people are standing up in support of education. From the East and West, people are speaking out. Everyone can have a role. An attack on education somewhere is an attack on education everywhere. Human rights are taken for granted by many individuals. The right to equality before the law, to a fair trial, to religion, and thought are all human rights. Human rights, as it is currently known worldwide, became established in 1948. The United Nations can be given credit for the creation of The Universal Declaration of Human Rights. This simple document has enabled people to have a chance to gain the opportunities that have never been offered to them. The end to slavery, genocide, or any other kind of oppression upon any person(s) - that is the purpose of The Universal Declaration of Human Rights. Sadly, human rights are not enjoyed by everyone. Below is a video that will explain what is happening right now to the Bahá'ís in Iran. Education Under Fire Trailer (3 min) from Education Under Fire on Vimeo. Justice is important. The Bahá'ís in Iran don't have it. Unfounded defamatory speech against the Bahá'ís in Iran is supported by the Iranian Government. Bahá'ís are barred basic rights of citizenship like higher education. 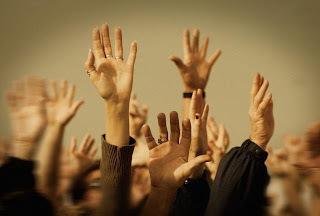 The constitutional protections in the Constitution of the Islamic Republic of Iran guarantees to every Iranian citizen rights which the Bahá'ís don't have. Educational programs set up to teach Bahá'í students have been targeted in raids. Arrests and convictions have been made solely on the basis of religion, and about 97 Iranian Bahá'ís are currently in prison today. Over 400 arrests have been made since August 2004, and many Bahá'ís are under unwarranted government surveilance. Bahá'í businesses are being looted among other acts without any government investigations to bring justice, and some businesses are even confiscated. Also, business licenses and jobs are denied to Bahá'ís. All of these facts don't amount to the number of Bahá'ís that lost their lives solely on the basis of belief. More facts about the injustices are being uncovered thanks to the efforts of people who won't stay silent as fellow human beings are persecuted. The Universal Declaration of Human Rights guarantees Bahá'ís the human rights that others have taken away from them. The world that exists today is not the same as it was centuries ago. Humanity has developed drastically over the past two centuries, and the effects of such a recent development can be felt around the world. Humanity is at a crossroads. Since the beginning of recorded history, the whole of humanity has always been at the mercy of nature. The great civilizations of the past rose and fell like the ocean's tides. The current global civilization that is emerging from only two centuries of innovation and consolidation still has more to accomplish. The same unsustainable practices of the kingdoms and empires of the past is in practice now. There is one vital thread our civilization is clinging on to that distinguishes the present from the past. The ability to effectively change the face of the planet is within the grasp of every human being. For example, the individual is in power to decide what to purchase from the supermarket. The global economic structure is currently founded on consumer demand. If there's a need, there is someone who will have to address it. As always, there is a need for everyone to live a healthy life that is necessary for well-being - "a contented state of being happy and healthy and prosperous"(1). Whole economies can be geared towards the production of a product to meet the need of the individual. One individual's choice to purchase one product can revolutionize the economy of another country. Mountains are flattened in order to extract resources, like coal, to meet the large demand worldwide. The consumer's choice to avoid a product will send the message to a company that such a product is not welcome. No longer does an elite class rule over the masses with an iron fist. The change of view of the masses is important if the global civilization under-development is to truly be everlasting. The fate of future generations depends upon it. The fate of the world is in the people's hands. The change in the current perspective on well-being is what future generations depend upon. For one, the current economy is a dynamic economy - always changing to meet the needs of the consumer. Also, in an effort to be "economical," companies limit the lifespan of their products in order to sell more. In addition, the resources available are used as if they are unlimited. Instead of aiming toward the creation of the best possible product, companies aim to create a product better than the others. Although the competition between companies has lowered the prices of the consumer, the companies must not forget their true purpose. 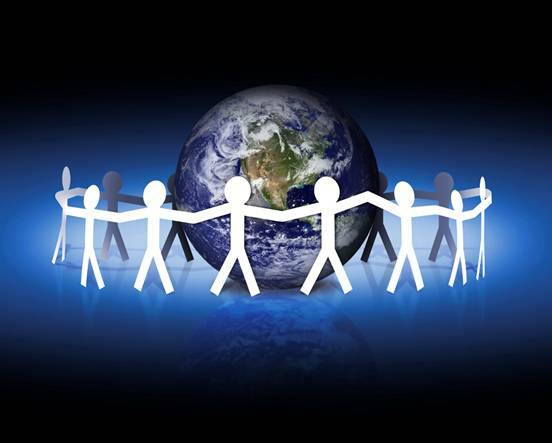 The Well-Being of the global community should be the purpose of every individual entity - person or organization. If such a vision is embraced by all, the ability to have an everlasting civilization will be within the grasp of humanity. Equity and justice towards all is a necessity. The planet needs it. When the people realize how a global vision leads to their own well-being, the world will be further revolutionized. Not only will there be an even larger explosion of ideas, the prosperity of all will be achieved. Companies that rely on an outdated economic model powered by stinginess and fear, anticipating a shortage of new ideas, will wonder why such a fear of a shortage of any ideas had been so prevalent. The impediment of progress is caused by the very fear of it occurring. Sacrifice has been and will always be the reason for the advancement of the world. The fear of making sacrifices must be eliminated if people truly don't want their fears becoming a reality. Regardless, sacrifices must be made in a proactive or reactive society. The question of when and what to sacrifice remains. The dilemma of the world based on fear is a reality for many. From the beginning of recorded history, fear has been used to control others. Instead of the promotion of education and understanding, fear is promoted to spur people into action. Fear is the dictator's best friend. From time immemorial, humanity has progressed continuously despite the many obstacles that it has faced. People are tired of the abuse that the malicious and corrupt have perpetrated. As of late, the will of the people has overcome the fear of repression. As a result of sacrifice of themselves for the well-being of others, the people have rejected the practices of their ancestors and have become the cause of the development of the entire human race. The development of the human race will require something different in every age. At the heart of humanity's development is the sacrifice of the people. "Until a being setteth his foot in the plane of sacrifice, he is bereft of every favour and grace"(3). The concept of world citizenship could never be fathomed by the masses in its entirety. The energies released in the realization of such a concept of world citizenship and its prerequisites have caused an irreversible change that must occur as a result. The advent of the maturation of the human race is apparent, and such a process is still taking place across the globe. The shock waves can be felt in every nation on earth, and no one is sheltered from such a phenomenon. 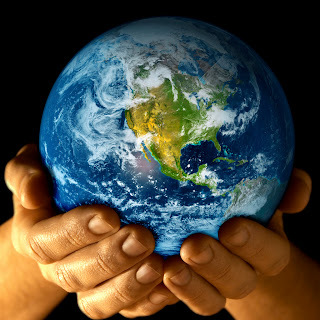 The peoples of the world are realizing that "the earth is but one country, and mankind its citizens"(5). The planet is in need of responsible actions on the part of humanity, as a whole. With humanity's greater understanding of reality, such a realization should amount to a greater amount of productivity, progress, and happiness. With an increase in the potential destruction humans can cause, the potential production of the human race must also be just as large. Instead of a narrow-minded view of progress that is essentially harmful, people must expand their horizons and understand the full impact of their actions. Please consider the term sustainability. The effects of the actions of individuals are sustained - "maintained at length without interruption or weakening"(6). What one person commits on one side of the world affects everyone permanently. In conclusion, the perspective on well-being based on self-improvement is essentially the same as world-betterment. Self-improvement can be defined as "the act of improving yourself"(8). 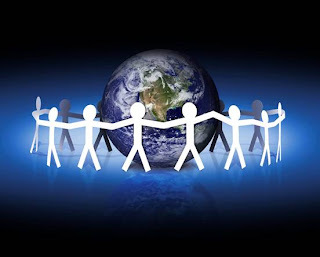 The perspective of many must be changed from a limited self-centered view with negative effects on the surroundings to a altruistic view with the understanding of the inter-connectedness of the peoples of the world. Self-advancement undeniably relies upon the advancement of others. Companies are composed of people, and companies depend upon people. It is the duty of every individual to demand world-betterment in order for anyone to act. There have been many scholars who have wrote wonderful works worth noting. One of those erudites is Abu'l-Qasim Faizi. 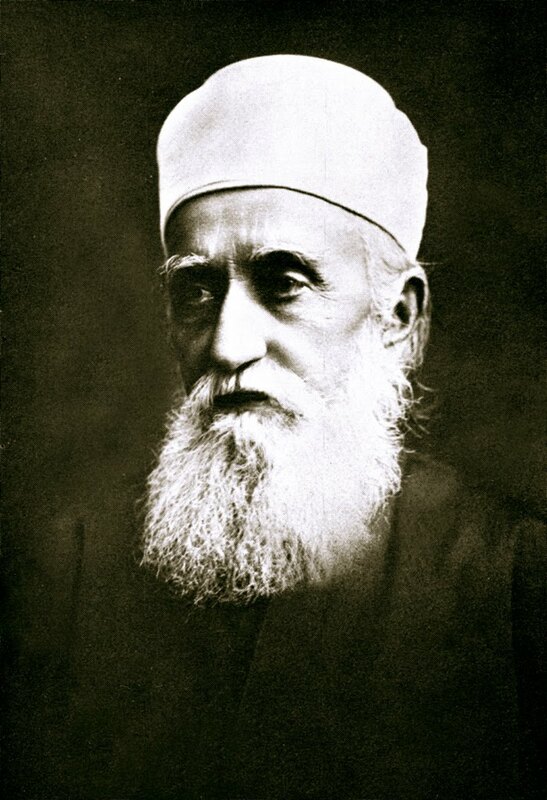 He has done extensive research on the Greatest Name, known to many Bahá'ís as the Bahá'í Ringstone Symbol. In short, the work should speak for itself. As a final note on the Greatest Name, it must be understood that the work of Abu'l-Qasim Faizi is preliminary in its scope. There is more examination and analysis to be done. 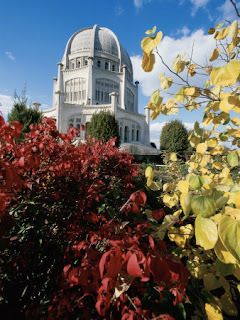 the Bahá'í House of Worship in the United States. The article sheds some light on the Bahá'í House of Worship - its history, purpose, and significance for the world. Now that two separate articles have been presented, it is now the task of the reader to follow this link: http://sites.google.com/site/abahaipoint/research-and-artifacts to learn more about these two important topics. This post is about The Next Movement that will change the world. People around the world must realize the only way to create change is through action. The world is in the hands of people who are building the future everyday. We are the people who can change the world. "THE world’s equilibrium hath been upset through the vibrating influence of this most great, this new World Order. Mankind’s ordered life hath been revolutionized through the agency of this unique, this wondrous System—the like of which mortal eyes have never witnessed" (1). Everyone must find out what is revolutionizing the life of mankind. The source of the change that is revolutionizing the world must be found. 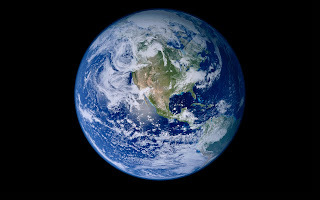 The people of the world must realize that the earth is the home of the human race as a whole. It is the duty of every individual to arise and search for the cure for the planet's ills. The guardians of the earth are not the governments. The people are the ones who will choose what path to take: To Let The World Burn or To Save The World. The video that is presented in the article is a wake-up call for everyone. We are the Next Movement. It is the Revolution Of The Intellect.